Keenan Kampa at the Mariinsky Ballet. 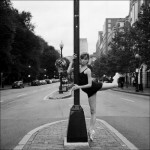 A year ago, she woke up to her dream: she was invited to be the first American dancer to join the Mariinsky. 23-year-old Keenan Kampa is the first American to graduate from the 274-year-old school that trained such legends of ballet as Anna Pavlova, Natalia Makarova, Rudolf Nureyev and Mikhail Baryshnikov. After three years of studying at the prestigious Vaganova Ballet Academy in St. Petersburg, Keenan Kampa felt restless, and a little wistful in America. “It was a hard period when I left Russia for Boston. You get used to that system,” Kampa said, referring to the style of Vaganova, the feeder school to the Mariinsky Ballet. On September 2, 2012, beautiful ballerina Keenan Kampa flew to St. Petersburg to begin her first full season with the Mariinsky Ballet, and will join the company on its U.S. tour this month, which includes stops in California and Washington, D.C.